Current representative: The current representative for the 97th House District is Rep. Jason Wentworth (R-Clare). The district covers Clare, Gladwin and Arenac counties and a portion of Osceola County, including Evart, according to the House Republicans. According to his official House biography, Wentworth joined the United States Army after graduating high school in 2001, and he was previously the East Central Michigan Regional Coordinator for the Michigan Veterans Affairs Agency. 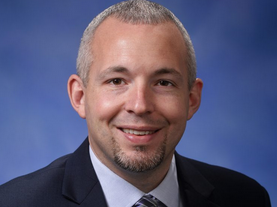 He is chair of the House Military and Veterans Affairs Committee and a member of the Workforce and Talent Development, Michigan Competitiveness and Insurance committees. A map of the 97th District is available here. Rep. Wentworth raises money through a candidate committee, Committee To Elect Jason Wentworth. In November 2017, a leadership PAC, Wentworth Majority Fund PAC, formed.